and served with a light soup containing eel liver. Fillets of eel are slathered in a special sauce and charcoal-broiled. Yanagawa, affectionately known as the “City of Water” due to its proximity to the Ariake Sea and its hundreds of kilometers of waterways, has long been known for its eel production. In particular, the variety of eel known as “hoshi-ao,” a white-spotted eel found in the nutrient-rich boundary between rivers and the sea, was valued throughout the country in olden times. “Unagi no Seiromushi” was born of this favorable situation. 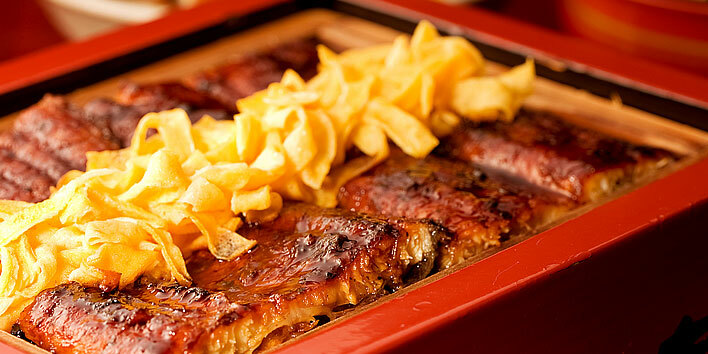 Separately, fillets of eel are charcoal-broiled and also covered in the special sauce. The fillets are then placed on the bed of rice, some finely sliced scrambled egg is added as a color and flavor accent, and the whole dish is steamed once more. Motoyoshiya created “Unagi no Seiromushi” in the first year of the Tenna Era (1681), and the secret recipe for the sauce and the techniques used in preparing the dish have been carefully passed down for the more than three hundred years since that time. Today, “Unagi no Seiromushi” is considered one of Yanagawa’s specialties, known throughout Japan and appreciated by thousands of visitors to Yanagawa every year. 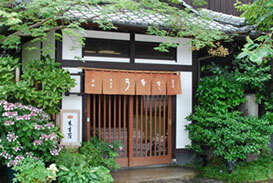 Please enjoy one of the traditional tastes of old Yanagawa.